This drink is one of my absolute favorites. It all stemmed from my husband's love for Cape Cod's. Enter in our good friend and former bartender, and we were introduced to the Sea Breeze. 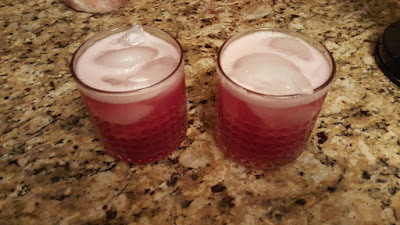 This is my husband's spin on both those classic drinks! This is another simple drink to make and makes approximately 4 drinks. In your shaker full of ice pour in 1 oz pineapple rum, 1 oz coconut rum, 1 oz triple sec, 2 oz each of the pineapple and cranberry juices and shake all together. Serve over ice. *If you want it stronger, add more alcohol, if you want it weaker, dilute with more juice; these measurements are, of course, our personal preference! This drink sounds so yummy! 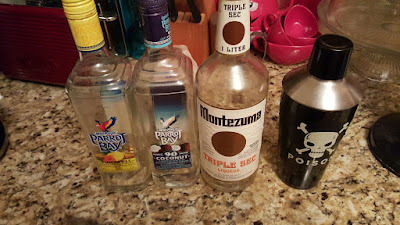 I need to have a party one day and just make all the drinks you suggest haha. I hope your week is going well gorgeous and you have some nice plans for the weekend!